Having your gallbladder removed may be considered a minor surgery; but, if performed incorrectly, it can cause severe pain and complications. If you need assistance from an experienced medical malpractice attorney, reach out today. A cholecystectomy, also known as a gallbladder removal, is a surgery to remove the gallbladder, typically because of a severe, acute problem, infection or inflammation, or when the gallbladder is a chronic concern. Cholecystectomies are often performed to treat gallstones and the complications that arise from having gallstones. Common symptoms of needing a cholecystectomy are sharp pains in the right upper portion of the abdomen, fever, nausea, bloating, and jaundice. There are two ways a cholecystectomy is performed. The most common procedure is called a laparoscopic cholecystectomy. When a cholecystectomy is performed laparoscopically, the doctor will make four small incisions around the abdomen. The surgeon will insert a small camera into one of the incisions and insert instruments into the other three incisions. The surgeon uses the camera to locate the gallbladder and then uses the instruments to sever the cystic duct and remove the gallbladder from the body. The benefits of a laparoscopic surgery include reduced healing time and less pain during recovery. A cholecystectomy can also be performed through open surgery – called an open cholecystectomy. For this procedure, the surgeon makes an incision just under the ribs, locates the gallbladder, severs the cystic duct, and removes the gallbladder through the incision. How Can a Gallbladder Removal Mistake Happen? While a cholecystectomy is thought to be a minor surgery and most patients can leave the hospital the same day or the day after surgery, issues can occur. One common mistake with cholecystectomies is when the common bile duct is clipped or severed during surgery, often because a doctor has misidentified the common duct for the cystic duct. This is an issue because a severed common duct allows bile to spill into the body, rather than traveling through and out of the liver, through the bile duct and into the intestines. Essentially, instead of only severing the cystic duct, as is necessary to remove the gallbladder, the surgeon will accidentally cut the common bile duct instead or as well. It is easy for a surgeon to clip or sever the common bile duct during a cholecystectomy because the common bile duct and the cystic duct are very near one another, and if a surgeon does not take the necessary precautions to identify both before cutting one, a misidentification can occur; this is particularly common when the gallbladder is removed laparoscopically because the surgeon is using a camera to see the anatomy. Often times a misidentification occurs because of inflammation or adhesions (scarring) inside of a person’s abdomen. If inflammation or adhesions exist, the standard of care required of a surgeon often requires that the surgeon convert the surgery to open so that the surgeon can more accurately identify a person’s anatomy before cutting any structures. However, converting to open takes time and makes recovery for a patient longer and more complicated. 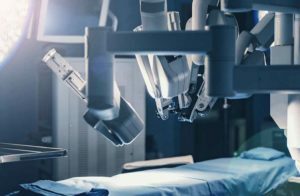 As a result, many surgeons resist converting a laparoscopic surgery to an open surgery – a choice that can sometimes cause catastrophic results. If the common bile duct is clipped or severed, the injury may not be immediately noticeable. However, within a few hours of surgery, the patient will feel severe pain. Common symptoms of a clipped or severed bile duct are fever, chills, nausea, vomiting, abdominal pain, swelling of the abdomen, general discomfort, and jaundice. A clipped or severed bile duct can also cause cholangitis – an infection of the bile duct – and will often require a second surgery. Clipping or severing the bile duct can result in extreme pain and additional days or even weeks in the hospital for recovery, depending on the severity of the mistake and when it is discovered. Many times, a severed bile duct leads to lifetime complications. While a clipped or severed bile duct may be a common occurrence, it is a preventable error made by the surgeon. In 2013 the average cost of one night in a Denver hospital was $2,473, and the procedure necessary to fix a severed bile duct costs much much more. In short, this medical error may cost you thousands of dollars and severe pain. If you feel that a medical error or mistake may have been made with your gallbladder surgery, the Olson Law Firm can help. We have experience with injuries from gallbladder removal surgeries and we understand the extreme pain and difficulty it can cause. We may be able to help you recover for the extreme suffering and the extra expenses you had to pay. Please give us a call at any time at (303) 586-7297 to see if we can help.